Marketing 101: Post-Show Followup Techniques You Will Want to "Borrow"
Post-Show Followup Techniques You Will Want to "Borrow"
Trade shows are one of the most exhausting, yet exhilarating, ways to spend your marketing dollars. You not only get to meet with your customers face-to-face, but you can also see what your competitors are up to, get great ideas for the future, and generally feed off the energy on the show floor. However, if you're not using the time after you return to the office effectively, you may be wasting much of the goodwill that you created at the show. Here are some great tips and techniques from marketers that will help you knock your post-show communication out of the park. Before you even start to pull together samples and brochures for your event, you need to determine the best way to capture contacts for later follow-up. This could be anything from a name badge scanner provided by the event coordinators to the low-tech solution of a giveaway fishbowl where contacts drop in their business cards. Simply gathering the information isn't enough, you need a solid plan in place of how you're going to get these new names and their requests into an actionable marketing database. Your call to action is just that: a way to encourage your audience to take a specific action that leads to your desired result. Starting with the end in mind allows you to craft a campaign where each step builds towards the logical conclusion -- your customer placing an order or asking for a demo. The first step may be a quick email, while the next step could include mailing a sample with a custom printed letter. A final step of a phone call or postcard a few weeks after the show proves to your audience that you're committed to meeting (and exceeding!) their expectations. 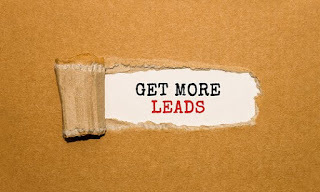 If you're using an automated solution for capturing leads, you may wish to begin immediately by sending an email as soon as you return from the show. If this isn't possible due to volume, go through your lists and segment your leads into hot, warm, and cold. If you're able to immediately assign the hot leads to a team member to call and can convert them to customers, great! Most people spend a day or two regrouping after a show, so timing is everything. Call too soon, and you're likely to get a voicemail recording which is generally a dead end. Call too long after the show, and people have forgotten all about you. This is one of the reasons that a branded, high-quality print piece is a fantastic followup. If you start your print project quickly, your materials can be there soon after your prospects are back in the office. Create a formal and ongoing communication strategy that allows you to continue the conversation with your various audiences. Some people may be very interested in your products or services, but perhaps they don't have the budget to start a project immediately. Others may be lukewarm in their interest levels, but you can see how you're adding value to their organization. What's important is that you tailor your messaging to your audience to convert as many as possible into customers. Now that you know the basics of trade show and event follow-up, you're ready to hit the road. You will see the true benefits of growing your audience and communicating effectively with all the new customers and sales coming your way!